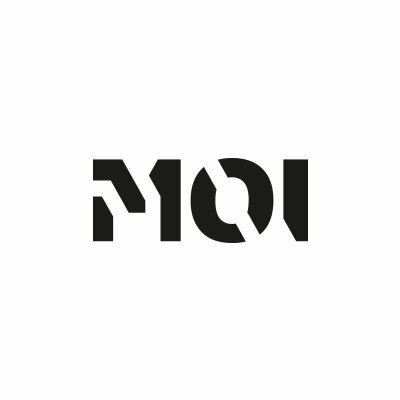 MOI is a global B2B creative agency connecting you with a new breed of buyer. Re-engineering your marketing eco-system to target the places they hang out and the people they listen to. Their global reach and local understanding produce results-driven marketing campaigns that span evolving media, markets and territories. With offices in London, San Francisco, Singapore and Sydney, their global reach and local understanding produce results-driven marketing campaigns that span evolving media, markets and territories. Their in-house services include insight and research, strategy and planning, Account Based Marketing, copywriting, creative concepts, design, build, content creation, video, social selling, paid social, social media, paid media, PPC, SEO, events, audience generation, email marketing, direct mail and more. MOI Global is looking for a Freelance Event Manager in Singapore, Singapore. If you meet the requirements below, you will be eligible to apply via Digital Marketing Community. Accountable for the end-to-end management of a wide variety of B2B event projects across different clients and across multiple regions. Run high-quality B2B events with a highly proactive as well as reactive approach with the ability to build trusted relations with the client base. Lead events on site and attendance at all managed live events (conferences, seminars, dinners, exhibitions, roadshows etc) taking a lead management role to bring the event project to fruition. Head live events on site throughout APAC. Pre-event management including taking detailed client briefs, preparing proposals, constructing budgets and timelines, attending client meetings and working closely with creative teams, copywriters, printers, audio-visual suppliers, external venues and other 3rd party suppliers to ensure projects are executed professionally, on time, and within budget and client expectations. Project management of project team ensuring that all deliverables are delivered ahead of schedule and to the highest possible standard regardless of size or scale of the event. Account management and client nurture. Co-responsibility with an account manager for the nurture of each client and the relationships within. Client communications are an essential aspect of the role. Add value to client campaigns and events, with the ability to offer advice to the client with regard to best practices and achieving the best ROI from their event. Attend client and supplier meetings and briefings. Bachelor’s degree level with marketing or event management qualifications or experience within a marketing and event environment. At least 3 years of experience in organizing live events, meetings and exhibitions. Proven experience in or inquisitive about virtual events and social media and have some knowledge of its role in B2B marketing and event management. Demonstarted understanding of the B2B event management industry. Proficient experience in managing multiple events at any one time with the ability to multi-task and prioritize based upon the event requirements. Expert knowledge of managing exhibitions, development of exhibition stands and delivering ROI from exhibitions. Deep knowledge of line managing an event executive, as well as managing a wider team on site at an event, with the ability to troubleshoot on-site at events before anyone else, react accordingly and provide solutions to the internal team, external suppliers and clients alike. Sound knowledge of producing client facing budgets and closely of tracking campaign costs. Wide Excel, Word and PowerPoint literate. Demonstrated good understanding and experience in working with spreadsheets and creating proposals and presentations in PowerPoint. Flexibility to travel and work early mornings and evenings where required. Self-motivated and driven – they must be committed to what the role entails, can embrace the challenges and be hungry to learn. Ability to make reactive decisions confidently and coherently on-site at events quickly that are the right decision and articulate to the wider team in a positive way. Ability to understand client objectives and interpret them to develop an integrated event strategy (including good listening and questioning skills). Able to juggle multiple tasks smoothly, be organized, have good time management and be in control.